The Deluxe Microphone Case from Arriba Cases protects your wireless microphone system from impact. The case makes it easy to stack your equipment without having to box it each time you pack while the wide mouth design makes it easy to take out your equipment. Box Dimensions (LxWxH) 12.9 x 10.5 x 3.0"
Deluxe Microphone Case is rated 4.5 out of 5 by 2. Rated 5 out of 5 by William from Nicer than the photos. I bought this to hold an Audio Technica system 10 handheld wireless microphone. I just needed something to keep the unit from getting scratched up during transport and to keep everything together. 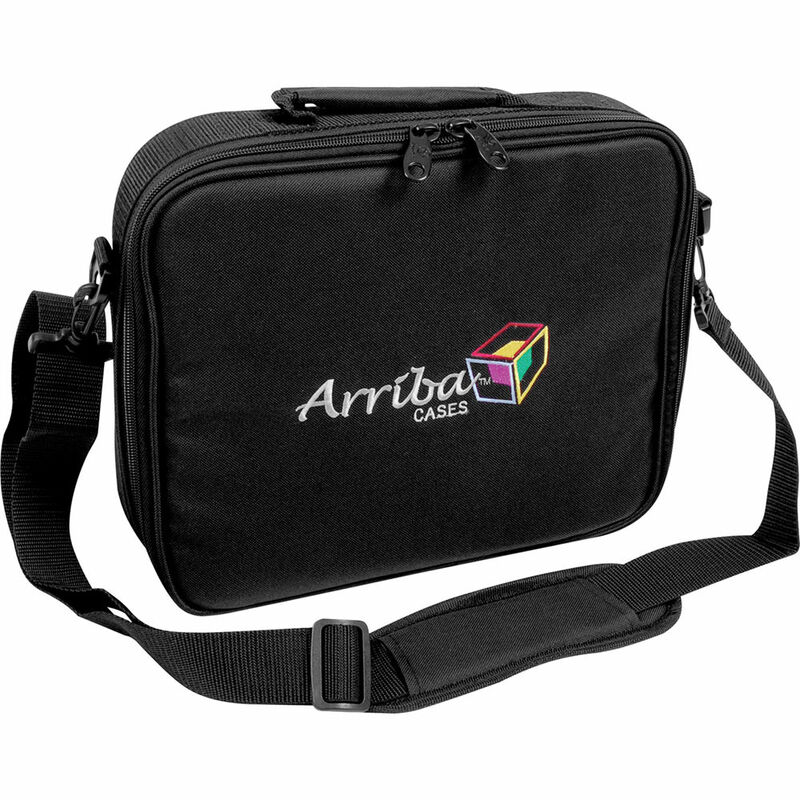 I thought this was just a simple soft bag like most of Arriba's larger bags but it has a nicely padded interior and I was surprised to discover that it has a reinforced lining around the edges for added protection and to help maintain its shape. This comes in very handy if I'm carrying it inside my DJ backpack and it's got dividers that keep the handheld and receiver from rubbing against each other, as well as a pocket to keep extra batteries or perhaps a very short microphone cable. I'm already thinking of other uses for the bag an I will most likely order more of them to hold my wireless DMX Tx/Rx modules. Mine didn't have the dividers on the inside but an email to Arriba confirmed that it should have come with them and they are mailing them to me. Just an FYI for other buyers. Highly recommended for the price. Rated 4 out of 5 by Duality from Small, but usable We use it to carry a Rode VideoMic, Zoom H1, Manfrotto clamp, 2-9V batteries , Rode extension cable, and charger. The only issue is the depth of the case for the clamp.